I love the sun and I love the snow. I started traveling 25 years ago and decided to pick my favorite spots for my vacation homes so that I could share these wonderful slices of paradise with others. Each of my vacation homes is a great little 'Retreat'. A place to relax, unwind and rejuvenate. A destination for an adventure to unfold. A place to make memories for a lifetime. A place for you to enjoy! What are you waiting for . . . book your getaway today! 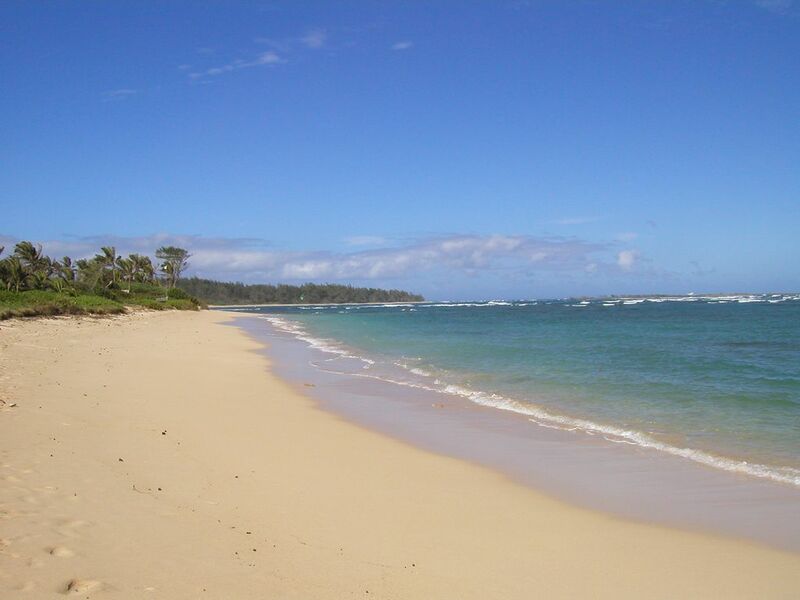 My North Shore Retreat is ideally located on the 'quieter' side of Oahu. You can literally step out the door onto a four mile white sand beach. Yet, you are just a short drive away from all of the attractions, the sights, and the sounds of all that is Hawaii. It's the ideal place to design a vacation that is truly 'you'. White sands, aqua waters, and roomy lodging! This was a perfect place for our siblings reunion! The inside of the home had all the comforts of home, and then some. Alice, the owner, was very responsive to any questions or concerns we had. The view from the back deck was the spectacular ocean with a nice grassy yard in which to enjoy the chaise lounges. The beach was wonderful to walk every day. The home was set far enough away from the road that you couldn’t hear the traffic. Keep in mind that land is limited on Oahu, especially waterfront property, so you will have neighbors close by. My siblings and I overlooked that aspect because everything else there far outweighed that part. After spending two weeks at this rental, we were all very sad to leave it and the Aloha way of life. We plan to come back in the future! We had a great time staying at the house again. However, there are several relatively small things that need to be taken care of. I have notified the homeowner of the things we found needing attention. The location is perfect, right on the beach where we saw beautiful sunrises and sunsets. So close to Foodland too and we had fresh fish from Ken's Fresh Fish several times. We like being away from the business of Waikiki so this is perfect. We have been to Hawaii many times and this week was the rainiest we have ever experienced. It didn't stop us from enjoying the warm weather. Just got home from our amazing stay at the northshore retreat. We can’t say enough about our stay, the beach front home has everything you need for a comfortable stay. The beach is right outside your door and seemed to be only used by the homes in the area, not busy at all. Foodland is right across the street and Seven Brothers , this burger joint is a must to visit, also located across the street! Our family will definatley be back. Amazing getaway! Away from the hustle and bustle but near many amenities. Cute, beach cottage feel with everything you need. Kitchen is setup with all the necessaries plus some. The backyard is private and the beach is right there! Having Foodland across the street is wonderful and they have great Poke! The house has all the toys and beach supplies you’ll need to boogie board, snorkel, lounge on the beach or float in the water. It was great for our family of four including two teenagers. It would also be great for two couples. We all absolutely loved this property! (2 60's couples) It was a perfect location, beautiful beach and stocked with any and everything you need to make it an ideal vacation. This was my 7th trip to the islands, and lived there the better part of 1973. I hope to stay here again on my next trip.